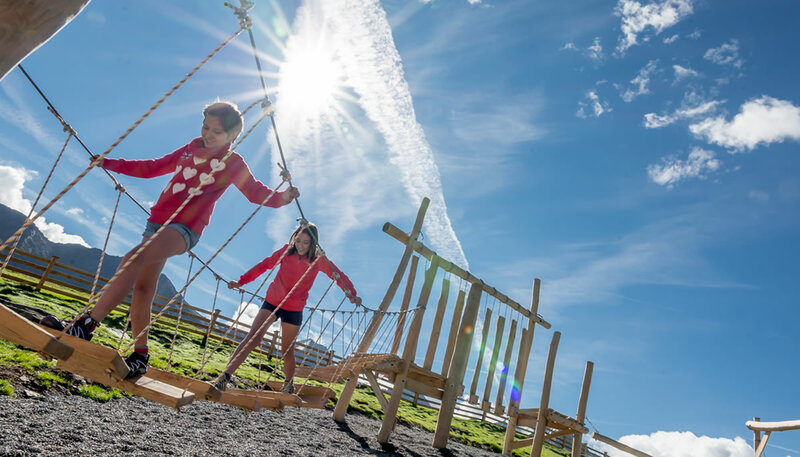 Our natural playground on the Hohe Mut Alm lets the hearts of very young and young at heart beat faster. Kids of all ages – from toddlers to teenagers – will find the right place here to act out their own imagination and skill in the sandbox, or on the climbing frames. Of course, the entire park is built with natural, sustainable materials – a lot of wood! - and is open all year round, including winter. Year round play, fun and exercise in the fresh, Tyrolean mountain air at over 2,600m. - the Hohe Mut Alm makes it possible!